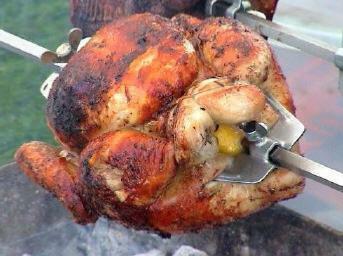 Rotisserie cooking is an ancient method of grilling/barbecuing meats and vegetables. 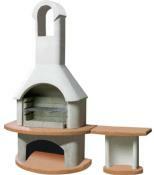 The method retains all the meat juices which cannot be matched with a convention oven. 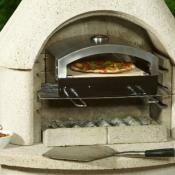 Combined with cooking over charcoal, you will have an unforgettable experience with your family and friends. 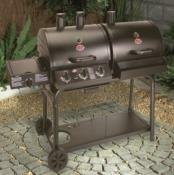 Make your mouth water as you watch your chosen meat on the charcoal Rotisserie. Experience barbecuing using a rotisserie. This is a delicious and healthy way of cooking food over charcoal. Rotisseries skewers, kebab skewers and traditional charcoal grill. Enjoy your barbecue party and let the rotisserie do all the work. Greek style barbecuing at its best in your back garden. 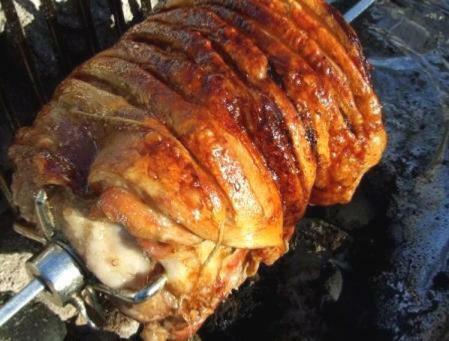 Rotisserie barbecuing is self basting and it's easy to produce the most tasty barbecue ever! Preparing your rotisserie is easy. 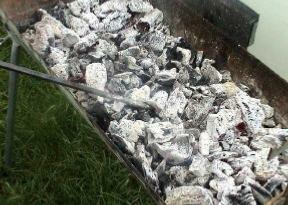 Your Rotisserie is easy to prepare for rotisserie cooking, just light the charcoal in two areas of the hearth. 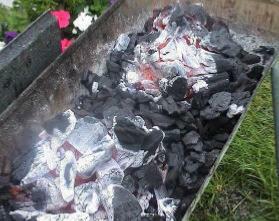 After around 20 to 30 minutes the charcoal should be ready. 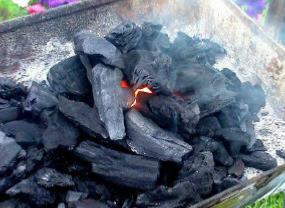 Spread the charcoal to ensure heat distribution is evenly spread and to slow the burning process of the charcoal. When using the large rotisserie skewers for joints of meat or chickens just make sure the skewer goes through the centre of the meat. 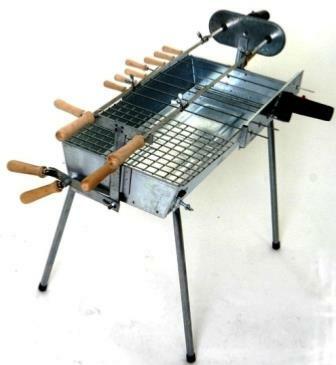 The large retaining forks will ensure the meat is secure and will not allow the meat to slip on the skewer during cooking. If you wish to cook more than one joint use the other large skewer provided and stagger the joints so they don't clash when rotating. 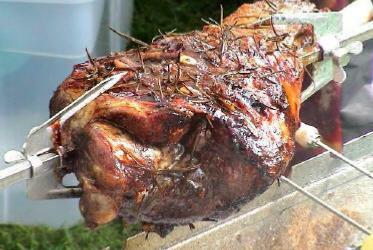 Cooking times will vary depending on the size of the joint and or course how you like your meat. Full instructions will be provided with your Rotisserie and must be read before cooking.